A couple years ago when the elections were happening, I went through a period of time where I felt depressed every time I went on Facebook or watched the news. It felt like no option was a good option and all there was, was bad news and accusations on every side of the coin. It caused me to start living in fear. Fear of the future, fear for my children, fear for my freedoms. 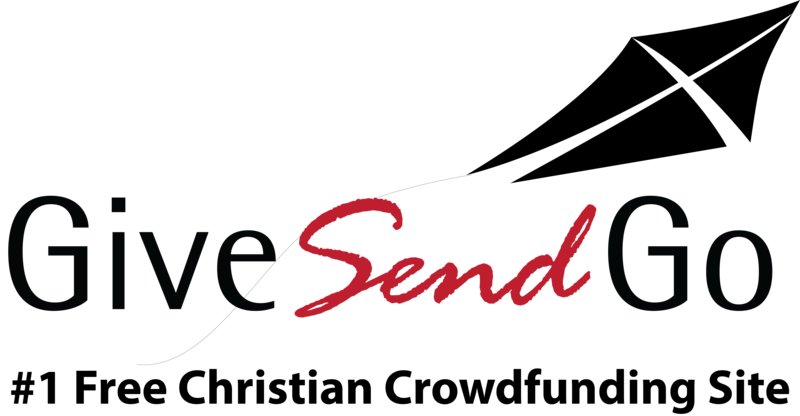 Well, I knew that GiveSendGo was something that God had for me to do, and it was amazing to see my perspective change as I started looking at closely at the Givers, Senders and Goers using the site. I started to notice exactly what GiveSendGo was being used for. Ordinary people all over the world making a difference. They were raising money to impact their communities, their churches, their neighbors and friends, they didn’t let worry about world politics or how it was all going to end stop them from doing what God was calling them to do in the moment, and they were making a difference. It was hard to pick just a few. There are hundreds more campaigns like these on GSG, and it is so exciting to join in and be used to be the hands and feet of Jesus to a world needing a little Help and Hope. Check us out today and be a part of making a difference where you are planted.